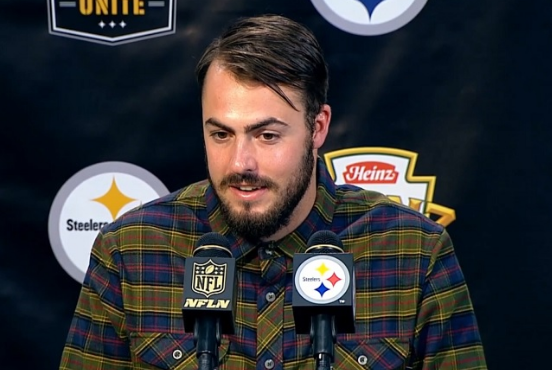 Matthew Landry Jones otherwise known as Landry Jones is an American football quarterback who is currently playing for Jacksonville Jaguars since 2018 as a free agent. Before playing for Jaguars, American football quarterback Landry Jones played for the Pittsburgh Steelers of the National Football League. Today, we will try to disclose his facts including his career, contracts and many more. An American football quarterback for the Oakland Raiders of the National Football League (NFL). Another former Steeler is on the way to the Oakland Raiders. Jones was in camp last Summer, in a QB battle against Josh Dobbs and rookie Mason Rudolph. He lost that battle in the final days of the preseason. Jones was signed for about one week with the Jacksonville Jaguars last season. Other than that stint, he was a free agent. Pittsburgh sports media members were quick to bring up the rift between Brown and various backup quarterbacks during his tenure in Pittsburgh. The first Landry Jones pass that sails over Antonio Brown's head will be worth the price of admission. Landry was born in Artesia, New Mexico on April 4, 1989, to Kevin and Kellye Jones. He was named after Dallas Cowboys coach Tom Landry. Additionally, he became interested in the world of football from an early age. He is of American nationality. Additionally, he has not revealed details regarding his ethnic background as of now. Talking about his education, Landry attended Artesia High School in his hometown. He was later recruited by many schools including Colorado, Oregon, Stanford, UCLA, Virginia, and Wisconsin. Eventually, he later committed to the University of Oklahoma. Initially, Landry led the Artesia High School to two consecutive Class 4A state championships, throwing for a combined 7,013 yards and 89 touchdowns. Additionally, as a senior in 2007, he threw for 3,433 yards and 45 touchdowns. Next, he was later named New Mexico’s Class 4A Player of the Year and was a finalist for the Joe Montana Quarterback of the Year Award. Landry played for the Oklahoma Sooners football team from 2008 to 2012 while attending the University of Oklahoma. Later, in the season opener against Brigham Young in 2009, Landry took over as the starting quarterback for the Sooners after Bradford suffered a shoulder injury. Next, in another game, he completed 18-of-32 passes for 286 yards, with three touchdowns and an interception in the Sooners 64–0 win against Idaho State. He later became the starter for the rest of the season as Sam Bradford announced he would have season-ending surgery on his shoulder and would then be leaving early for the NFL draft. In 2010, he continued his starting job as Oklahoma’s quarterback and guided the team through its first four out-of-conference victories. Landry announced on January 5, 2012, that he was returning to Oklahoma Sooners for his senior season. He led the Sooners to a 10–2 record overall in 2012. Additionally, he finished the season with a completion percentage of 66 percent with 4,267 passing yards, 30 touchdowns, and 11 interceptions. Furthermore, he finished his collegiate career with 16,646 passing yards and 123 touchdowns. Pittsburgh Steelers drafted Landry in the fourth round of the 2013 NFL Draft. Later, he signed a four-year, $2.59 million contract with a $439,220 signing bonus on June 12, 2013. He made his NFL debut on October 18, 2015. He finished the game with 168 passing yards and two touchdowns. Recently he signed a two-year contract extension with the Steelers on March 9, 2017. After drafting Mason Rudolph in the third round of the 2018 NFL Draft, the Steelers released Jones on September 1, 2018. Appearing in two of the Steelers' four total preseason games, Jones completed 10 of 13 passes for 127 yards, one touchdown, and one interception. On March 26, 2019, Jones signed with the Oakland Raiders. 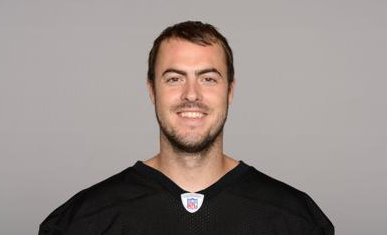 Reflecting his personal life, Landry Jones is a married man. He married former Oklahoma Sooner women’s basketball guard Whitney Hand-Jones. The wedding ceremony took place in Fort Worth, Texas on July 6, 2012. Whitney was drafted by the San Antonio Stars in the 2013 WNBA draft in the third round with the 32nd overall pick. The marriage seems stable and is going strong as no news of any extramarital affairs is known at present. Form his NFL career, he assumes a lot of money. His estimated net of 2019 is in under review. Recently, he signs the contract with Oakland Raiders which possibly to increase his net worth. So, stay tuned with us for more update. Back in 2018, Landry has a salary of $649,805 and has an estimated net worth of $ 2 million. Talking about his body measurement, Landry has a height of 1.93m or 6 feet 4 inches. Additionally, he weighs 102 kg. Furthermore, his hair color and eye color is black. His other body information was not disclosed yet, In the case of disclosed, we will let you know.